Go to the 225,000 square foot Gun Store. . .
. . .you know, the one with hundreds of stuffed trophy animals in "realistic recreations of their natural habitats" (like the mountain goats being attacked by a mountain lion near the beaver dam ten feet away from the polar bear defending the fresh muskox kill from a band of timber wolves). There's a river with several waterfalls flowing down that mountain. And a woman whose job it is to continuously walk around it cleaning the railing and plexiglass. Once she gets done, the part where she started is dirty again. 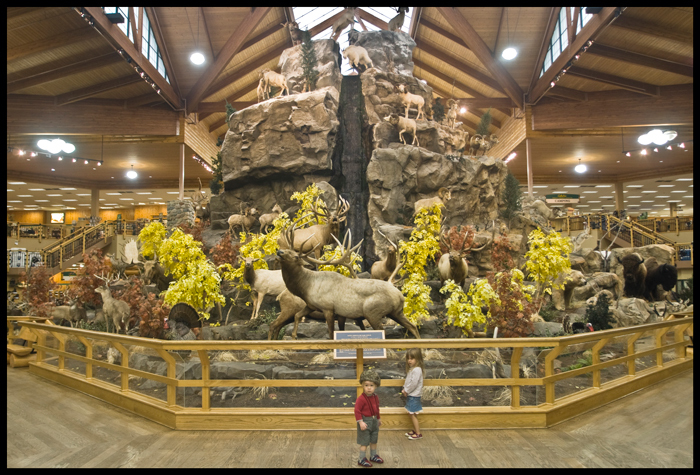 It's like the Golden Gate Bridge of indoor mountains covered in rare taxidermied wildlife. It's like the natural history museum if the natural history museum sold live ammo. 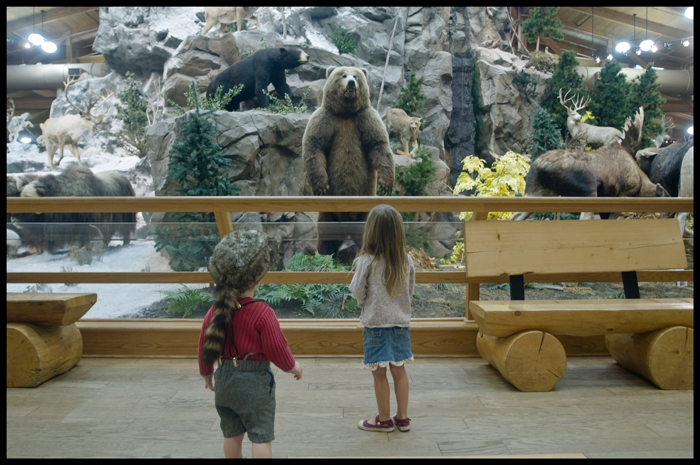 The kids were stunned by the whole thing (the boy was, by coincidence, wearing the souvenir coonskin cap we bought at Fort Ticonderoga). On the way out to the parking lot: "I don't think they killed those animals, Pops. I think they found them all like that."